The Quality Management System of Intermountain Precision Machine, Inc. meets requirements of the international standard ISO 9001 (2000). This system addresses the design, development, production, installation, and servicing of all the company’s products. 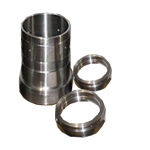 Quality Systems Manual and on-site inspections are available upon customers’ request. In today’s competitive 24/7 manufacturing world where demands are high and increased quality, efficiency and productivity are critical for success, manufacturers need a machine tool partner that can deliver what they need, when they need it. And that’s exactly what they can expect from Mazak, thanks to its advanced North American Headquarters and Manufacturing Campus in Florence, Kentucky. 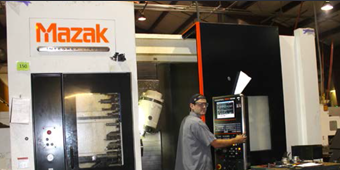 Mazak’s ongoing investment in its North American operations as well as its overall commitment to the manufacturing industry gives customers constant access to new, cutting-edge solutions, while further solidifying its position as a leading provider of innovative, productive machine tools and systems.